Matthew was the son of Alphaeus, and was also known as Levi. 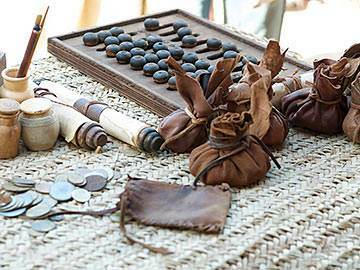 He was a tax collector by profession—one of the ostracized group of Jews (and other nationalities) who made their living by collecting taxes on behalf of the Romans. His work involved applying pressure on unwilling people to pay their taxes, and thus he would be accustomed to seeing many unfriendly faces come to his booth. 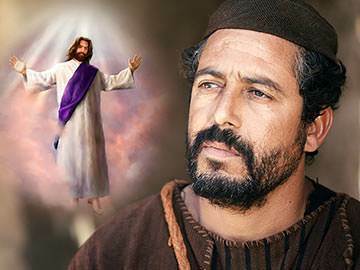 Jesus approaches him with great friendliness and respect, however, and bids him leave his work and become His disciple. 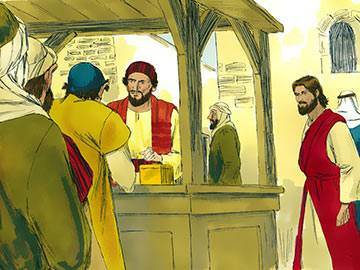 Matthew immediately responds to Jesus’ invitation and enters into a life of new service, this time not of getting, but of giving. Later he became the author of one of the ‘synoptic’ gospels—a gospel written to emphasise the fact that Jesus was the Messiah, the Son of the living God. Can you remember the day when Christ called you to be His disciple? What were you doing? What did He say to you? How did the call come? Pause for a moment now and reflect on your own personal call to commitment. Then thank Him for making you one of His present-day disciples. The profession to which Matthew had committed himself prior to being called to be Jesus’ disciple was one which would have brought him few friends. The system of tax collecting in those days was open to great abuse, the collectors making themselves rich at their neighbours’ expense. It was no wonder that tax collectors became known as ‘the hated breed’. No Jewish rabbi, for example, would consider eating with a tax collector, as they were considered ceremonially unclean, due to working on the Sabbath and from their constant contact with the Gentiles. How incredible it must have been, both to Matthew and to those who knew him, when Jesus invited him to give up his work as a tax collector and join Him as one of His disciples. 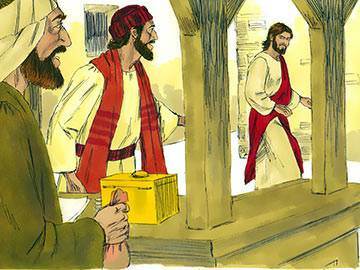 Neither Matthew’s position as a tax collector, nor his gains by it, could detain him when he heard Christ’s call. He left his job without a moment’s hesitation, and although we read that some of the disciples who were fishermen occasionally returned to fishing, we never again find Matthew plying his old trade. There can be little doubt that Matthew’s response to the call he received from Jesus was immediate and wholehearted. Without appearing to hesitate, he left his former profession behind and committed himself to the work which Christ had called him to do with eagerness and enthusiasm. It is worthwhile noting that Matthew did not turn his back upon his fellow tax collectors or his friends after he had committed himself to Jesus, but sought to make them aware of the message and meaning which his new Master had brought into his life. He demonstrates a great evangelistic concern for his friends by inviting them to his home for a feast so that he can introduce them to Jesus (v. 29). Matthew knew that the answer to life could not be found in gold, but in God—not in money, but in the Master. To celebrate his new life in Christ, Matthew opened his home to hold a feast for his friends and acquaintances at which Christ was the guest of honour. This was one way Matthew could tell the world that he had accepted the Messiah. What ways have you taken to let others know of your commitment to Christ? Once Jesus has brought together the team that is to accompany Him during His three-year ministry throughout Palestine, His next task is to commission them. This involves laying before them the broad outline of His ministry—to preach, teach, heal the sick and cast out demons. 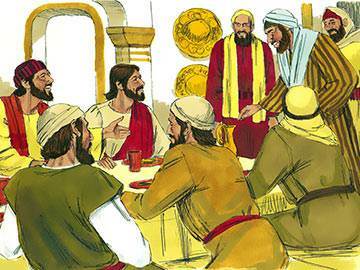 Matthew, along with the others, listens as Christ unfolds the full scope of their ministry. The key to Matthew’s involvement—as indeed for the others—lies not so much in the words that Christ speaks to them, but in the fact that they have been chosen “to be with Him”. Matthew and the others, in order to become true disciples of the Master, must do more than listen to His words and copy His actions, they must assimilate His attitudes. And that can only be done by spending time with Him. “Discipleship”, as one preacher has pointed out, “is not just reading the Bible, attending Christian meetings, or even saying the Lord’s Prayer. Discipleship is spending time with Jesus, lingering in His presence, gazing upon His face and getting to know Him.” Are you such a disciple? 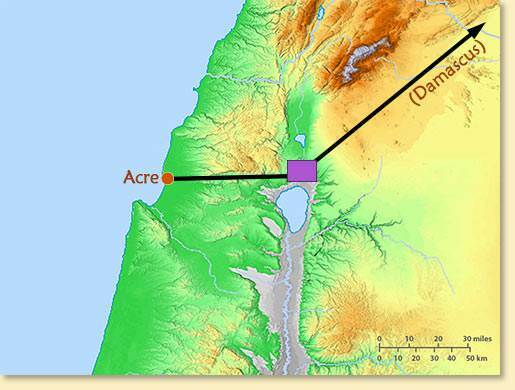 Along the north end of the Sea of Galilee, there was a road leading from Damascus to Acre on the Mediterranean, and on that road a customs-office marked the boundary between the territory of Philip the tetrarch and Herod Antipas. Matthew’s occupation was the examination of goods which passed along the road, and the levying of the toll. 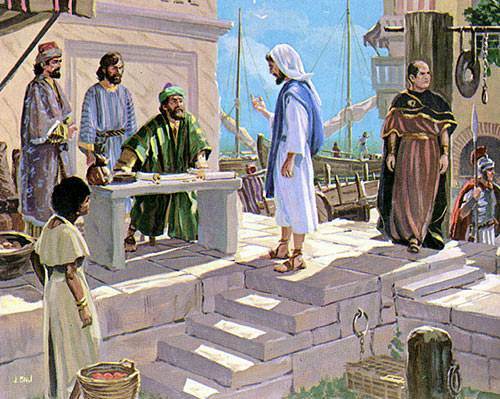 Matthew, as a Jew, was condemned for impurity by the Pharisees, as he was prevented from fulfilling the requirements of the Law, and was compelled to violate the Sabbath, which the Gentiles did not observe. His occupation itself associated him with men who, everywhere in the Empire, were despised and execrated for extortion and fraud. Except for the references concerning Matthew’s call, the feast he gave for his friends and his commissioning, along with the other eleven disciples, the Gospels are silent as to what Matthew said and did while he was in Jesus’ company. Nevertheless it becomes clear that Matthew had caught the full focus of Christ’s ministry in the words that he later wrote about Him, for Matthew’s Gospel, as we said, presents Christ in a light that is not quite captured by any of the other Gospel writers. In it he presents Jesus as the Messiah, the One foretold by the Hebrew prophets, and traces the fulfilment of the Messianic prophecies, one of which we studied in Series 2 Lesson 16 (see Zechariah 9:9). 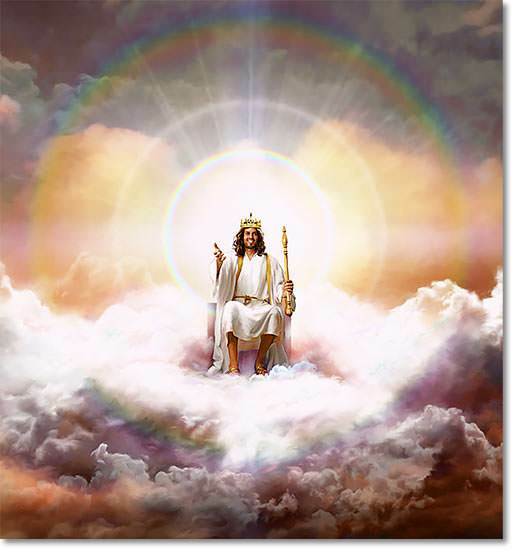 Matthew writes much also about the Kingdom of God and the Kingdom of heaven. Every Christian is called by God to show Christ to the world in a special and distinctive way—to show some aspect of Him through our individual gifts and talents that, because of our uniqueness, only we can show. Have you discovered your own unique spiritual focus? If not, then give it some thought today. Matthew places great stress upon the need for repentance because of the coming of the Kingdom of heaven, quoting the teaching of both John the Baptist (3:2) and of Jesus (4:17) in this respect. 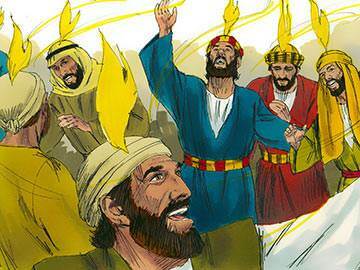 He records much of Jesus’ teaching about the Kingdom of heaven through the many parables Jesus related on this subject. 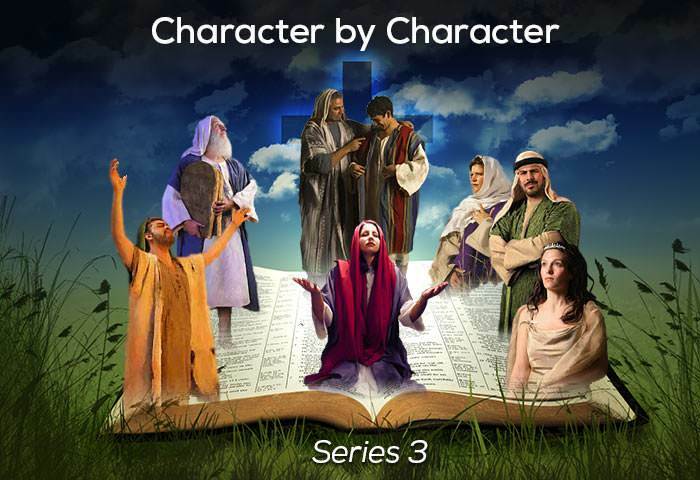 The series of parables chosen by Matthew deals with the many different aspects of the Kingdom message. Another emphasis which Matthew seems to bring out of his Gospel is the fact that not only did Christ fulfil Old Testament prophecy, but He also fulfilled the Law (5:17). The early Christians reading Matthew’s Gospel would have been familiar with the Law, and doubtless would have been greatly helped to see how Christ fulfilled the demands of God’s eternal Law. How beautifully Matthew contributed to the picture we have of Christ by emphasising the special aspect of His Kingliness. If it were not for this, then we might not so easily have grasped the fact that the One who is the Servant, the Son of God, and the Man Christ Jesus, is also the Lord of the universe—the King of kings! The silence which hangs around the figure of Matthew in the New Testament is broken briefly in the Acts of the Apostles, where he is mentioned as being among the group of Jesus’ followers who awaited the coming of the Holy Spirit in Jerusalem. It must be assumed that after the death and resurrection of Jesus, the desire of Matthew to learn more of his Master did not diminish. Would he have been found among the waiting disciples if this was not so? 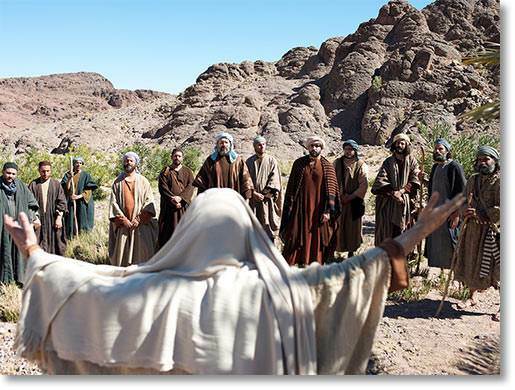 There was great hostility against the disciples in Jerusalem, one must remember, and to maintain a witness to Jesus could have cost them their lives. Matthew’s strong desire to know more of Christ resulted not only in a mighty baptism in the Spirit, but by reason of the Gospel he wrote, his ministry was extended to the ends of the earth (v. 8). Archbishop William Temple once said: “Your knowledge and experience of Jesus will be as great as your desire for Him.” Jeremiah said it in a different way: “You will seek me and find me when you seek me with all your heart” (Jer. 29:13, NIV). How strong is your desire for Jesus? Alexander Whyte, the great Scottish preacher of a bygone generation, said of Matthew: “When he rose up and left all to follow the Lord, the only things he took with him from his old occupation were his pen and ink. And it is well for us that he did, since he used them for such a good and wonderful purpose.” After the record of his feast, Matthew disappears from history; he is heard of no more in the New Testament except, as we saw, as one of the group in the Upper Room. However, by virtue of the fact that he was inspired to write the first Gospel in the New Testament, he is one of the most well known and most important of all Christ’s disciples. There are many lessons we can draw from his life, the chief being this: when Christ’s call comes to our hearts, we ought, like Matthew, to obey with a glad and immediate response. For “whoever does not renounce all that he has cannot be my disciple” (Luke 14:33, RSV).